Rare Opportunity to own one of the most sought after and desirable properties in the area! 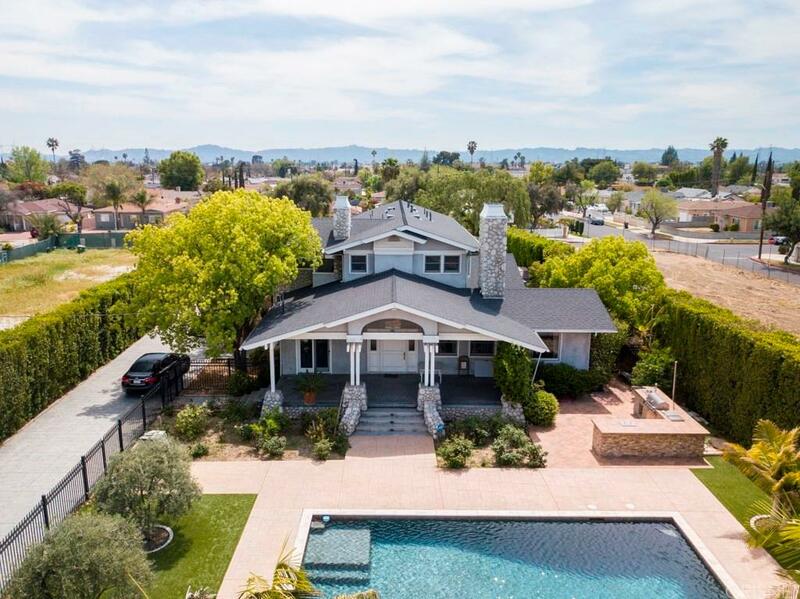 Located in the heart of the San Fernando Valley, this luxury estate is on a 29,000 sqft flat lot with no neighbors on either side of the property. Private and gated with no expenses spared in creating an extravagant resort-style exterior complete with brand new custom-built basketball court, BBQ, pool, and jacuzzi. New roof and newer copper plumbing. Permitted guesthouse contains an additional 1 bed, 1 bath. 3 car garage with plenty of parking space and RV parking. Interior of home is very spacious and bright, with 2 dining area, a living room, family room, an additional office space, large master bedroom with balcony and fireplace, and so much more! Close to freeway access, shopping, and schools! Don't miss your chance to own this timeless, one of a kind home!